George Groves’ former trainer Adam Booth has called on the 30-year-old former world champion to hang up the gloves after his seventh round stoppage loss to Callum Smith in the final of the World Boxing Super Series in Jeddah, Saudi Arabia last month. The upset loss cost Groves 28-4 (20) the WBA super middleweight title he won two years ago when he defeated Fedor Chudinov at Bramall Lane in Sheffield. “Probably, he can walk away having achieved what he wanted,” Booth told iFL TV. “He’s got enough money in the bank that he now has the security that he ever needs for his family, with his health intact. Groves has had a stellar professional career dating back to 2008. The Hammersmith fighter holds victories over former world champion James DeGale, leading contender Chris Eubank Jr and decked Carl Froch in the first round of their high-profile clash in 2013 before losing by controversial stoppage. Along with the career highlights there have been lowlights too. In November 2016 defeated Eduard Gutknecht by unanimous decision to successfully defend his WBA International super middleweight title. The German boxer collapsed in the dressing room after the bout and was taken to hospital where he underwent surgery for swelling on the brain. 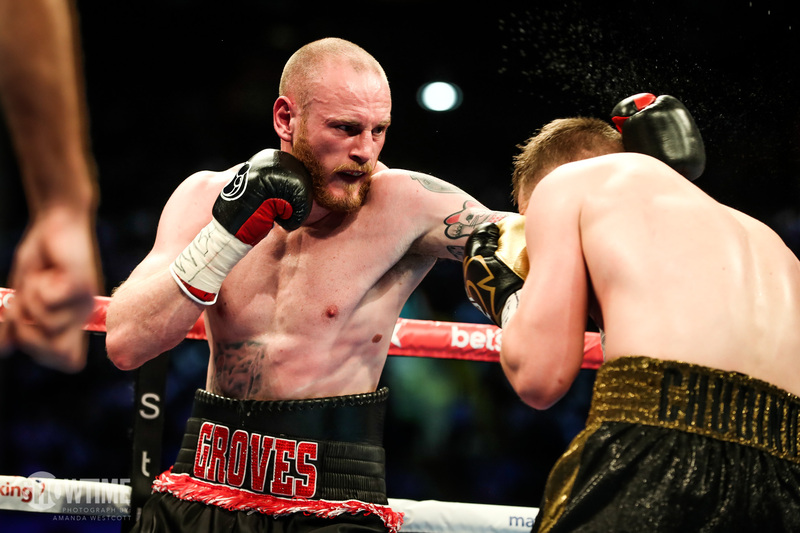 Groves was instrumental in raising thousands of pounds to help pay for his opponent’s medical bills. He dedicated his world title win against Chudinov in his next fight to his fallen foe. “You’ve got to remember, there was that fight with Eduard Gutknecht, nobody talks about that fight anymore,” said Booth said. “There was all this virtual sympathy towards him, but nobody talks to him anymore now. “But, you can bet your bottom dollar that that has never left George Groves. “He is well aware of the dangers this sport can throw at you, because he’s been made aware of it in the worst of scenarios.